Toddlers can hardly be trusted with just about anything, but that apparently didn't stop Amazon from creating a tablet designed specifically for them. Built for children ages three and up, the Fire HD 7 Kids Edition includes a Kid-Proof case which claims to be both durable and lightweight. 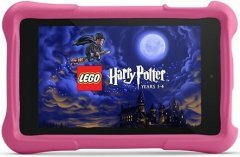 Of course, putting a protective case on a tablet for kids is nothing new, but Amazon's 2-year worry-free guarantee for this device (if it breaks, Amazon will replace it for free) is something we have not seen before. 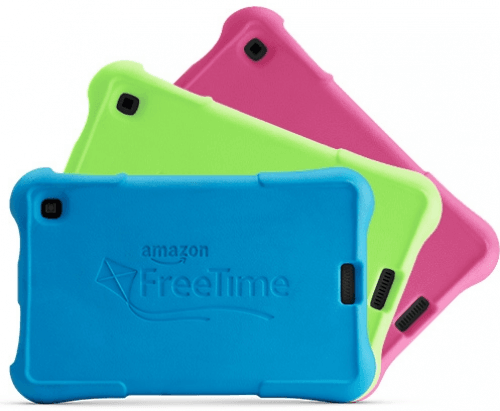 Content-wise, the HD 7 KE ships with a year of free subscription to Amazon FreeTime, which includes unlimited access to over 5000 kid-friendly books, videos, games, and educational apps. Unfortunately, it also carries over some unpleasant baggage from its regular Fire HD 7 twin, such as the ridiculously long battery charging time (six hours) and the lack of expansion support for its measly (8GB) on-board memory. Also known as: Amazon HD 7 Kids Edition. Amazon tablet computers 2019 View all the new Amazon tablet computers.